This Wooden Wall Mounted Steel Clothing Rack has unique vintage style, it is designed to be both functional and decorative, which perfect for the clothing store. If this clothing rack not apply to your store, don't worry ,size and style can be customized, our design group can design follow your requirement, so don't hesitate to contact us, we will try our best for the customer satisfaction. Looking for ideal Garment Steel Rack Manufacturer & supplier ? We have a wide selection at great prices to help you get creative. 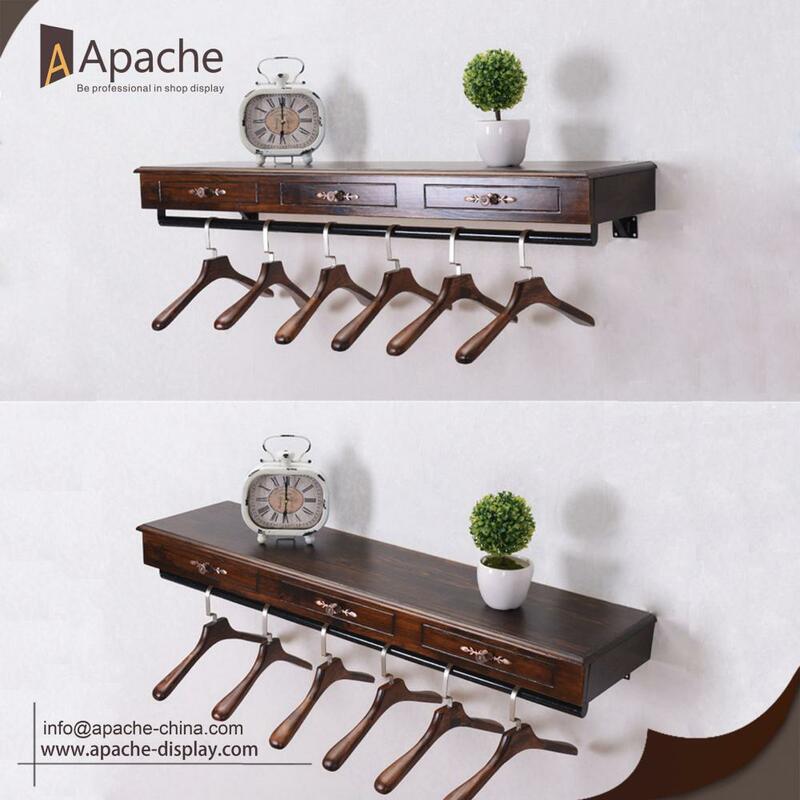 All the Clothing Store Wooden Rack are quality guaranteed. 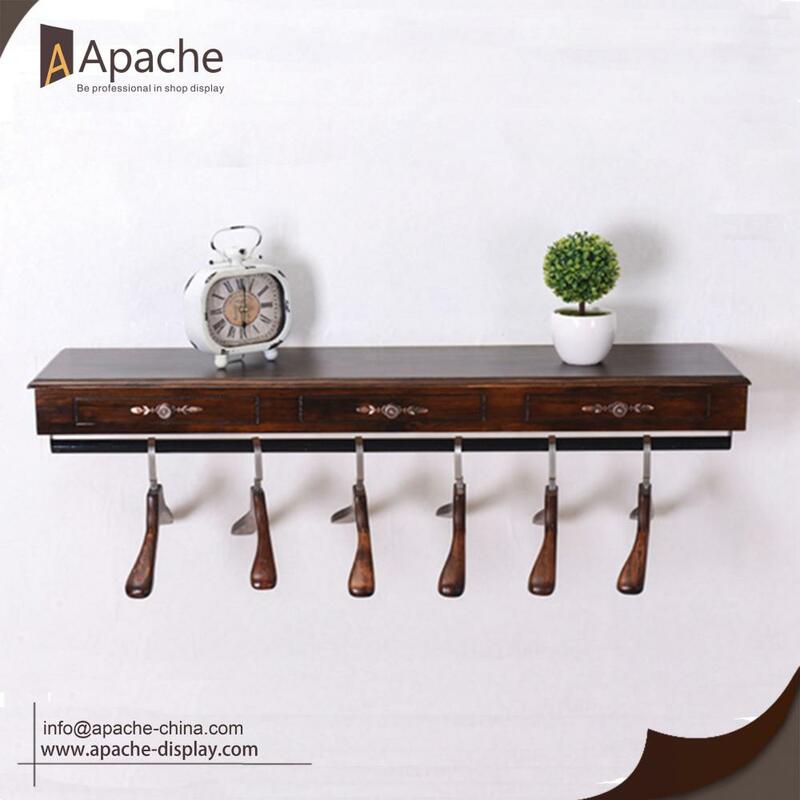 We are China Origin Factory of Wall Mounted Clothing Rack. If you have any question, please feel free to contact us.